Need instant cash, but got plenty questions? We’ve picked up the most frequent questions people have been asking our support reps during the last year. Here’s your quick guide on cash advance in California. So what are payday loans? Payday loans are referred to the short-term loans group and represent the most unsecured financial solutions. Therefore, the list of basic requirements consists of just 2 items: to obtain a payday loan you must be 18+ years old and have a bank account. According to the statistics as for the year of 2014, the approval rate at InstantLoansCalifornia.com has reached an impressive mark of 93% – as you can see, your chances are great. 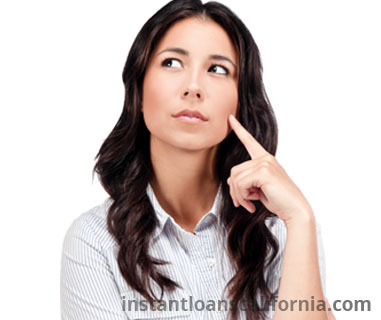 What is InstantLoansCalifornia.com and how it works? InstantLoansCalifornia.com is a legally registered company running a matching platform focused exclusively on the state of California. 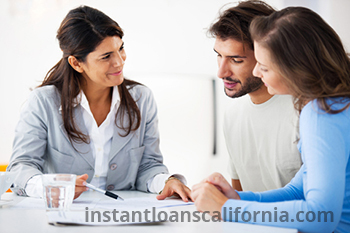 InstantLoansCalifornia.com is a privately held organization that is neither affiliated nor represents a branch of a banking institution or lending agency. Our site is designed to provide you with the best same day funding payday loans offers. We play the ball with the most ambitious lending agencies and match your applications with the appropriate services – the entire process is handled automatically through a savvy system with the minimum of human involvement. What are borrowing amount caps to keep in mind? California payday loans are limited to just $300 and no more than 15% of extra charges from the total loan amount. However, you may be offered alternative short-term loan options with ranging from $500 to $1,000 – these loans will have a different title and will have different titles. Therefore, you should double-check the loan terms in all the contracts exceeding $300. Is there any chance to succeed with bad credit history? Cooperating with the most successful industry players, providing quick and easy ways to obtain the desired sum remains our top priority. At InstantLoansCalifornia.com the chance of rejected application because of poor credit score are absolutely negligible. The average approval rate of 93% (93 people out of 100 succeed with their bad credit cash advance loans requests) and an impressive lending partnership network guarantees the sky-high chances for a positive decision on your request. Will I have to take care of some paperwork? When you submit an application for a cash advance in California at our site, you automatically get rid of paperwork drudgery. No faxing or teletrack – our platform is designed to supply you with the best same day cash advance effortlessly. Whether you are offered a payday loan or any other type of short term loan, you will not be asked to required to deal with any papers. As soon as you get the approval, the desired sum is deposited to your bank account or credit card in as little as a couple of hours (if such technical opportunity exists). Depending on the lending agency, you may be offered to pick up the loan amount in cash at a local office.